From no snow last week to a slight ice storm on Friday, Lake Tillery has certainly seen its share of winter in the past two weeks. Although there wasn’t too much ice it was still enough for some of us to slip and slide on the roads, reminding us all to use caution when driving! But, Friday morning during the wintry mix, I looked out my window toward the lake to see two men on a duck boat bundled up ready to go duck hunting. No matter how cold it is sometimes that doesn’t lake enthusiasts from enjoying it in the winter. As promised in our blog last week, we will reveal the answer of the mysterious beach seagulls and why they like to come to Lake Tillery on the main channel. After a lot of research over the past week there is no definitive information available on why they like to come here. The only evidence we know of is that they like to chase the shad and striper they feed on. They also prefer to stay in one big flock because they like to nest in colonies. Although there is no definitive answer yet to why these mysterious birds come here to Lake Tillery, we have uncovered why there are so many here at once. Remember to come back next week to see what is new on Lake Tillery! 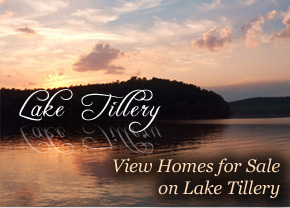 Also, for buying/selling your Lake TIllery property call “The Real Lake Pro” Brian Beachum at (704)-796-0158.